Guillaume Apollinaire's only book on art, The Cubist Painters, was first published in 1913. This essential text in twentieth-century art presents the poet and critic's aesthetic meditations on nine painters: Pablo Picasso, Georges Braque, Jean Metzinger, Albert Gleizes, Marie Laurencin, Juan Gris, Fernand Léger, Francis Picabia, and Marcel Duchamp. As Picasso's closest friend and Marie Laurencin's lover, Apollinaire witnessed the development of Cubism firsthand. This collection of essays and reviews, written between 1905 and 1912, is a milestone in the history of art criticism, valued today as both a work of reference and a classic example of modernist creative writing. In addition to a faithful and fluid translation of Apollinaire's text, Peter Read provides his own scholarly analysis of its importance in the history of modernism. 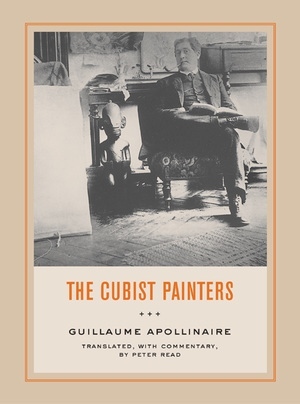 He examines Apollinaire's art criticism, his relationship to the Cubist movement, and, more specifically, the genesis of Cubist Painters through its various revisions and proofs. Supported by all forty-five plates from the original edition, this new volume brings Apollinaire's vitality and vision to life for a new generation. Guillaume Apollinaire—Roman by birth, Polish by name (Wilhelm-Apollinaris de Kostrowitski), Parisian by choice—died at thirty-eight, in 1918. He was one of the leading figures in twentieth-century poetry, a transitional figure whose work at once echoes the Symbolists and anticipates the Surrealists. His Calligrammes: Poems of Peace and War (2004) is available in a bilingual edition from California.